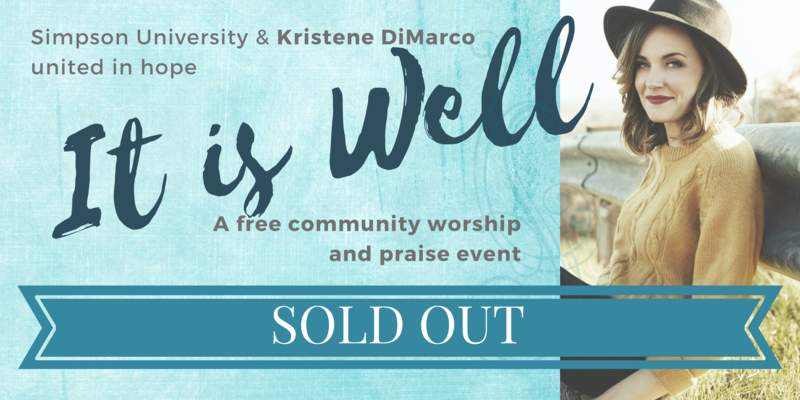 Simpson University and Kristene DiMarco unite in hope to present "It is Well," a free community worship and praise event featuring Simpson University choirs and traditional hymns from Kristene's CD, "Mighty," including "It is Well." Seating is limited. 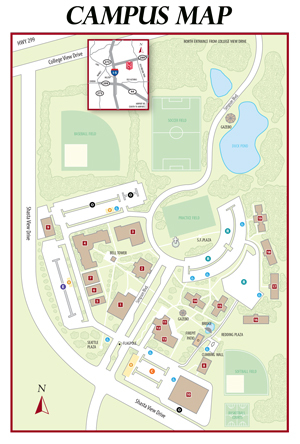 Reserve your FREE TICKET today. Kristene is a singer, songwriter, pastor and worship leader with a history of passionate worship that has inspired a new generation of worshippers. Kristene has a heart for growing up future leaders and encouraging young creatives to step into their calling. In 2014, Kristene’s song, “It Is Well,” was included on the live album and released to radio in 2015. This fresh perspective on a timeless hymn has quickly become a song impacting churches all over the world. Kristene enjoys life in Redding, California with her husband and two children, and opportunities to minister both at home and around the world. Video of "It is Well."